What people will see from Rahung would make them think instantly that this guy is perhaps an activist or somebody who is too fond of tattoo, but certainly they will never knew that one of the ultimate joys of his life is cooking. 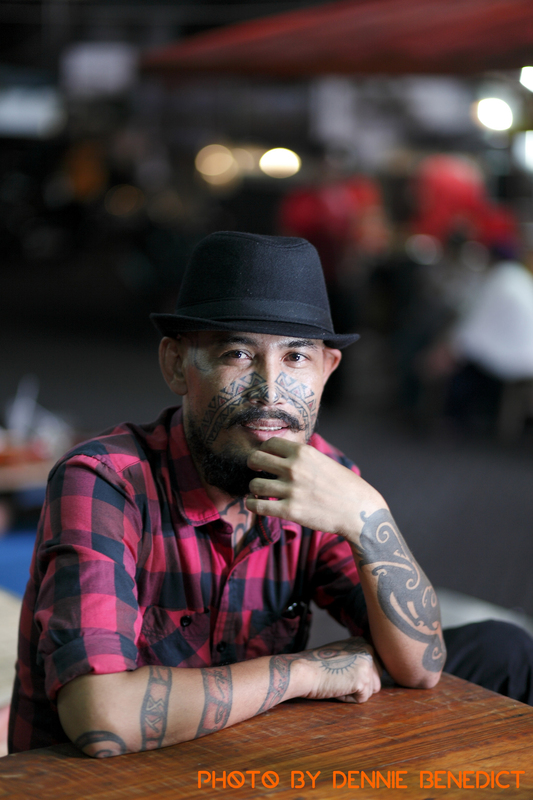 While it’s true that he’s a tattoo aficionado, Rahung is actually also a guy who is straightforward about his feeling with anything tribal, political, environmental, and cultural in this country. “Perhaps it was because I befriended activists, NGO people, and living in Timor Leste for six years. I fell in love so much with this country and would like to know more about the tradition behind all those tribes that built Indonesia”, curiously he said. That’s also why he decided to learn more about the audio visual world and now he becomes an adept videographer. “I’ve had my share of time working behind the desk doing all sorts of video editing, but I cannot stand idly sitting around doing menial jobs. I’d like to also explore and share my experience with others”, said Rahung. Together with his friends, they started The Tribal Project that brings them to explore the depths of Indonesia and to create documentary videos, storytelling their rich culinary culture visually. “We quickly immerse ourselves with the traditional lives of the people we met in Mentawai where we walked for two days long to find them, or within the depths of Kalimantan with Dayaknese Iban tribe where we took a 16 hours bus ride just to get there, or when we learn to cook interesting Torajan dish with the natives”, Rahung explained his job excitingly. Furthermore, meeting up with ACMI people and synergizing with them confirm his ultimate wish to promote the undiscovered part of Indonesia. They often hang around together to discuss anything about food, creating food events, and going to traditional markets together whenever he’s in Jakarta. When asked how did he started his fondness with cooking, Rahung simply answered that it’s what his mother taught him and that it became his hobby since he’s still little. “I remember the time when I was in junior high. Since my parents return home late from our paddy fields, I usually cooked for my family the traditional Bataknese dinners”, he reminisced. His cooking habit continues until this day and he often shares it with his friends. Being a proud Bataknese, he usually cooks arsik by using any ingredients he found in traditional markets – from bamboo shoots, ferns, and mostly carp fish. Aside from cooking Bataknese dishes, he admitted nonetheless that he’s fascinated other cuisines as well, especially with the cooking techniques he found in traditional tribes that utilizes only simple ingredients but resulted in a dish so full of flavor and aroma. Curious about his tattoo, we asked about what made him decided to tattoo his whole body. Rahung answered, “It’s all about my personal political statement”. Mostly his tattoos are originated from Papuan, Dayaknese, and Bataknese designs and mainly he sympathizes with the struggle of Papuan people. That’s why he braved himself by tattooing his face. “Even though the Papuans live on a land blessed with rich natural sources, they’re simply forgotten and treated badly. My tattoo here is a statement of my empathy with them. I let the whole world know that I will forever be a part of them, as fellow Indonesians!” exclaimed Rahung.